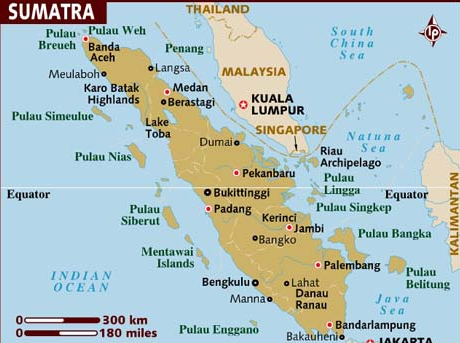 Earthquake Prediction: Weathering of rocks causes jolts in northern Sumatra. Weathering of rocks causes jolts in northern Sumatra. Bandung: The Volcanology and Geological Hazard Mitigation Center (PVMBG) said on Tuesday that weathering of volcanic rocks on a massive scape in northern Sumatra had caused frequent jolts in the past months. The head of the center’s earthquake and tsunami mitigation division, Subandriyo, said weathering had affected the solidity and stability of the rocks, prompting the tectonic tremors. The Meteorology, Climatology and Geophysics Agency (BMKG) recorded at least five jolts in Deli Serdang, North Sumatra, on Tuesday, with magnitudes ranging from 3.8 to 5.2 on the Richter scale. “The weathering amplifies tremors during earthquakes,” said Subandriyo. He also said that the epicenters of most of the quakes were not very deep, making the tremors palpable despite its low magnitude. Thus, he reminded people to be careful. At least two shopping centers in North Sumatra were lightly damaged due to the string of earthquakes.